Whether you are purchasing a car or car insurance, budgeting is an important aspect. People want all the features but do not want to pay an exorbitant price for it. This is where budgeting becomes crucial. Apt budgeting doesn’t mean cutting down on the features and benefits in order to reduce the price of the product. It involves creating the right balance between what is needed and the amount to be paid for it. There are two types of car insurance policies in the Indian market, Third-party Liability and Comprehensive Car Insurance. Third-party Liability Insurance is mandatory by law thus, its prices are stated by Insurance Regulatory and Development Authority of India (IRDAI). However, the price of Comprehensive Car Insurance policy varies from insurer to insurer. This happens because generally the features and benefits offered by comprehensive policies of different insurers are different. Insurers provide different features and Add-ons in their policies and charge as per their strategy. Thus, there is bound to be some difference in the price charged for Comprehensive Car Insurance policies. Car insurance prices vary depending upon the information you share with the insurance company. The make and model of your car, the year in which you registered it, your claim history, etc. has an impact on the car insurance price. These are the things that you cannot change as you have to be honest while declaring information. However, there are certain variables that you can modify. Changing the following variables will have a direct impact on the car insurance premium. As the name suggests, Add-ons are additional features that you can purchase along with your Comprehensive Car Insurance policy. These Add-ons are mostly designed to cater to the exceptions of a basic Comprehensive policy and lend a personalized touch. For example, passengers seated in the car are not covered in a basic Comprehensive Car Insurance policy. But if you go for a Passenger Cover Add-on, then they are covered. Add-ons enhance your insurance cover and they also increase your premium. Thus, it is suggested to go for only those Add-ons that are absolutely necessary. For example, if you usually drive around alone then there is no need for going for the Passenger Cover Add-on. Slight increase in the amount of Voluntary Deductible can reduce your car insurance premium. By opting to go for Voluntary Deductible you tell the insurance company that in case of an unfortunate event leading to monetary loss, you will contribute certain percentage to the claim amount and the insurer will not have to pay the entire claim amount to you. The flipside to it is that you will receive less amount of money when you claim insurance. Thus, if you are opting for voluntary deductible, do not keep it too high. Installing anti-theft devices is seen as a proactive measure by insurance companies. 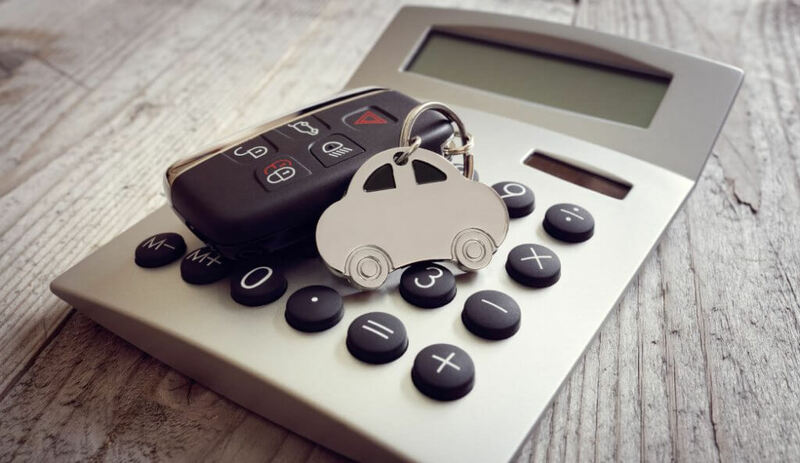 Thus, they may provide a discount on insurance premium if a car has anti-theft devices that are approved by Automobile Research Association of India (ARAI). Becoming a member of Automobile Association of India can also fetch you a discount on car insurance premium. You can compare car insurance prices easily by visiting insurer’s websites and using their car insurance calculator. You just have to enter some basic information and the car insurance calculator will let you know the approximate cost of insuring your car. Once you know the quotes, you can compare them along with the features offered by each insurer and then choose the policy that meets your budget. There are insurance comparison websites as well that compare policies and let you know the quotes. Now, there is no need to engage with an insurance agent and pay commission, as information is easily accessible and presented in an understandable manner on insurance company’s websites. Purchasing car insurance online is inexpensive, easy, and convenient. Read informative Car Insurance Articles at Acko. What are the Consequences of Not Having Third Party Car Insurance? Can You Claim Insurance For Car Theft With Your Current Policy? Bye-Bye Stressful Claims. Hello New-age Insurance! Insurance for your Luxury Car – 7 Things you must know! Why are Imported Cars So Expensive? How to Protect your Car from Getting a Sunstroke?